The Woman's Club of Kountze was organized on February 3, 1961. The first president was Mrs. R. S. Coe. and the treasurer was Frances Carter. The ladies made the organization of a library their priority. By September of that same year, the Kountze City Library was formed. The City of Kountze gave the ladies permission to use one room in the City Hall building as a library. The club members took turns manning the library. Among some of the charter members were Charlene Branscum, Eugenia Gauntt, Jo Ellen Spivey, Ruth Hargrove, Willa D. Coe, Mary Frances Richardson, Faye Birdwell and Mary Christian. The Kountze Woman's Club operated the library solely for over twenty five years, paying the staff, buying the books, adding to the building, paying utilities and upkeep. They began the Little Miss Kountze Pageant and Shopper's Bazaar as fundraisers to pay the library's way. After City Hall moved to its present site in the 1970s, the library had more room to grow. Past head librarians were Miley Cariker, Alice Kelley, Linda Murphy, Glenda (Dugat) Williams, and Connie House-Richardson. In the late 1980s, the City of Kountze agreed to make the library a department of the city. 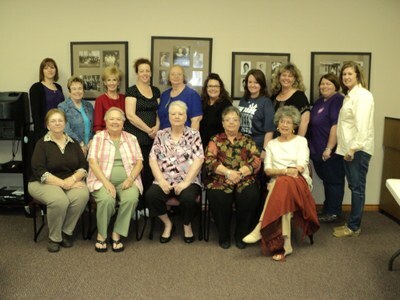 A Friends of Kountze Public Library Organization was established in 1998. Their current president is Elaine Allums. The present facility was completed in 2002. The Kountze Woman's Club still provides funding for library materials and its members serve on the Kountze Public Library Advisory Board.